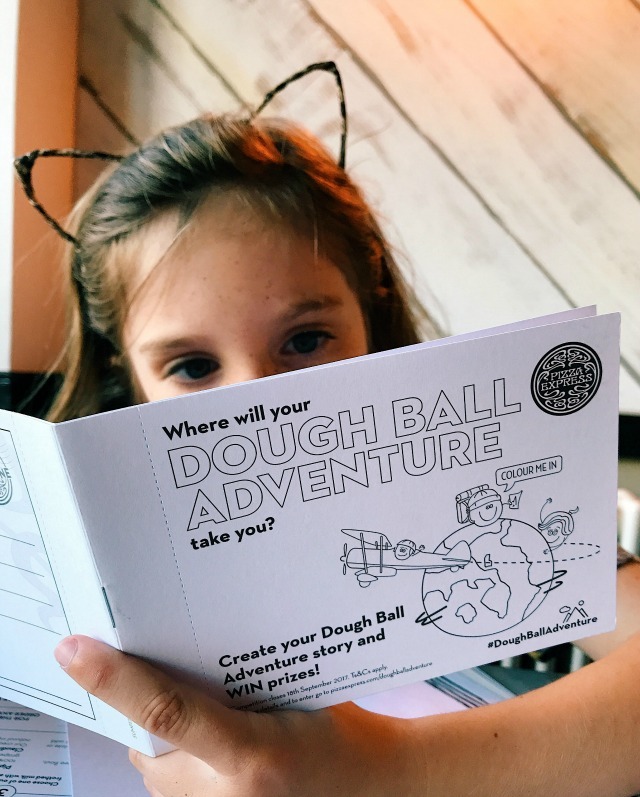 This summer, Pizza Express are inviting children aged 5 to 12 to use their imagination and dream up an adventure for their dough balls! All they have to do is write a short story and then get a grown up to submit it to Pizza Express online here. There's a chance to win every week and prizes included a family adventure holiday with Featherdown, kids pizza making parties - and even the opportunity to see their story turned into a cartoon! 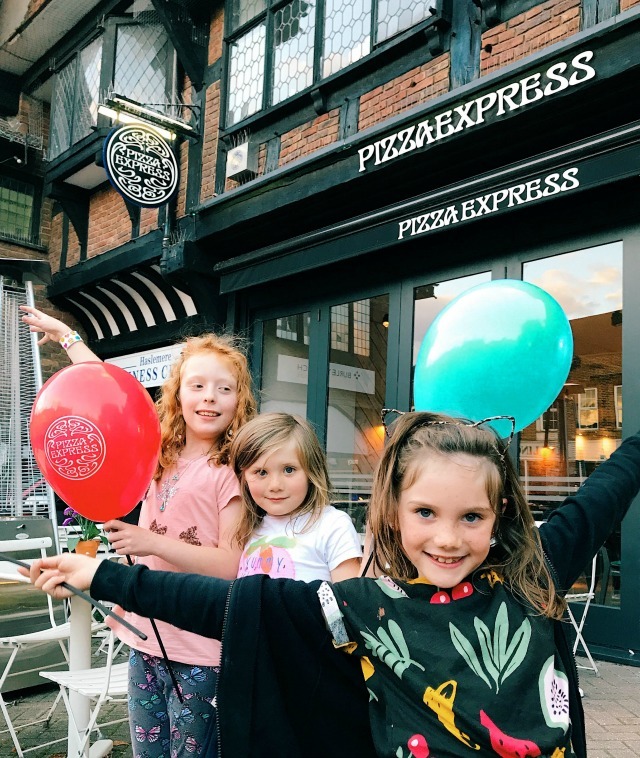 To celebrate the launch of this competition and the accompanying new kids pack, Pizza Express invited us to join them for a family meal - so last weekend me, Tom and the girls made our way to our local restaurant in Haslemere to see them for ourselves. 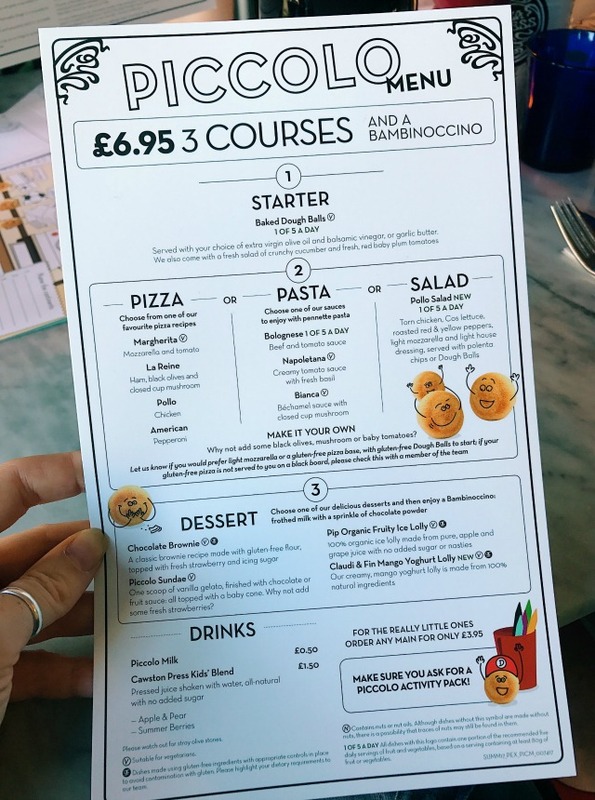 The kids menu had changed since we last visited - I love the addition of a salad option as a main, and the fact Pizza Express are now selling Cawston Press! I also think it's brilliant that the menu now tells kids how many of their five a day are in the different meals on offer so that they can make healthy choices for themselves. 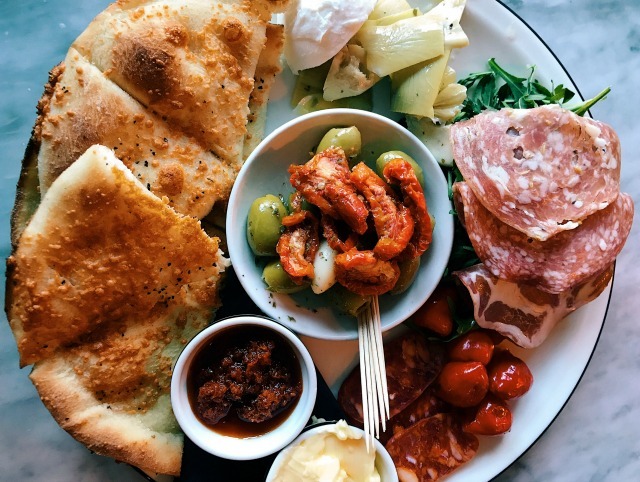 Most of us went for our favourites when it came to ordering; Evie and Lily ordered dough balls and pasta from the piccolo menu, while Daisy went for a grown up's margherita. We also had a single portion (yes, can you believe that photo is a starter for one!) 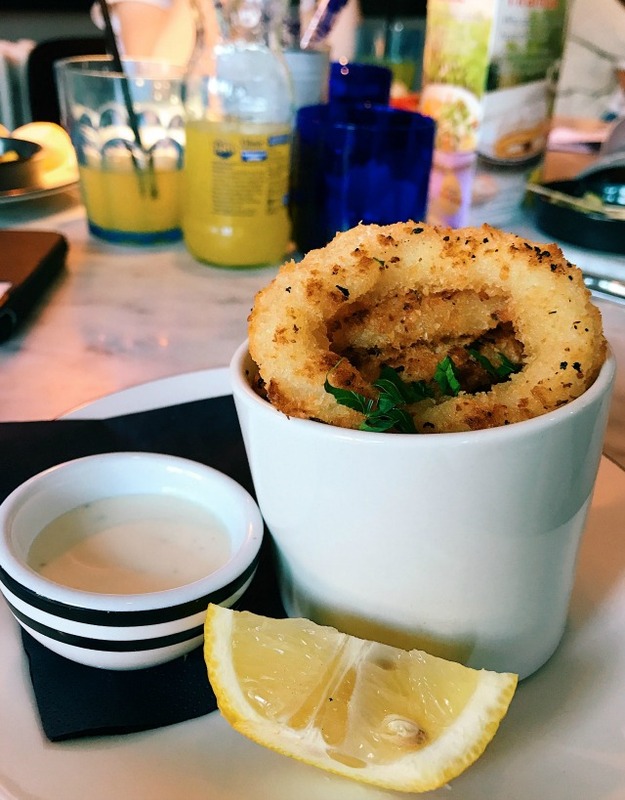 of the antipasto to share amongst us all, and we gave the new calamari a go too. Needless to say both were delicious - and we almost didn't have room for our pizzas! Tom went for a Diavolo for his main, while I went for my first ever entirely dairy free Pizza Express meal. Since my cholecystectomy three years ago, and a bit of research into eating well without a gallbladder, last month I decided to embrace an entirely dairy free diet. 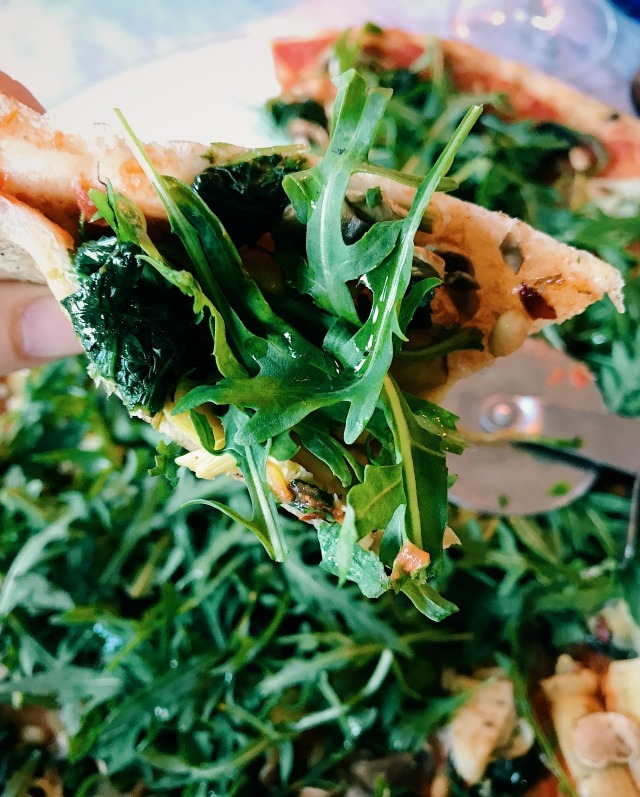 This was no problem whatsoever at Pizza Express - I went for the Pianta pizza for my main, which is cheese free and vegan, although they now have a vegan mozzarella alternative that can be substituted on any other pizza too. 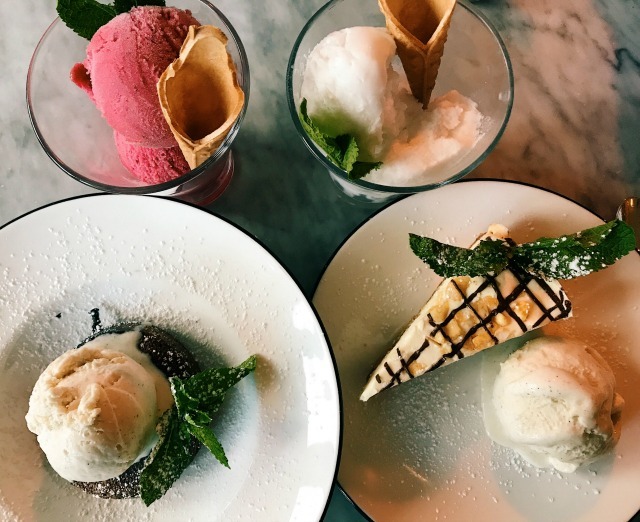 We all shared desserts - there were two dairy free sorbets on offer for me (coconut and raspberry) and also a portion of chocolate fondant and a great big slice of the honeycomb cream cake, both served with vanilla ice cream. As is always the case, we had a great evening at Pizza Express. I've said it before, and I'll say it again - it really is the perfect place to go for a family meal. 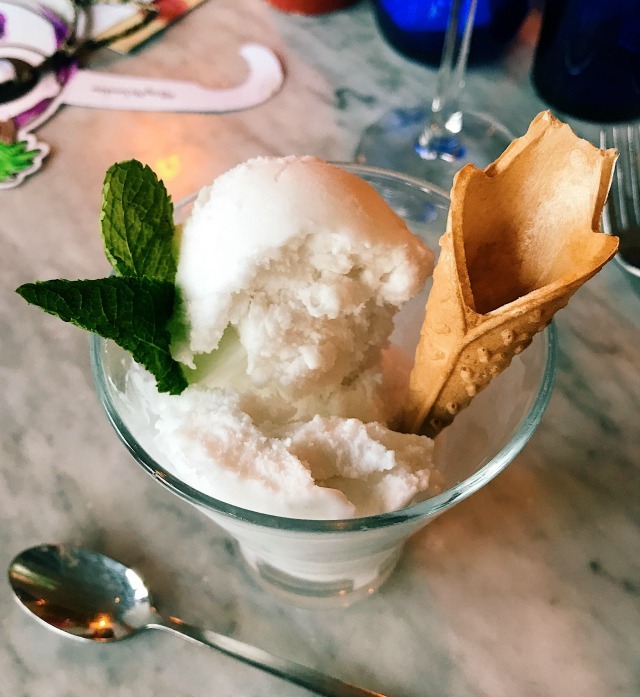 Service is fast, staff are always lovely and I love the constantly evolving seasonal menus and brilliant gluten and dairy free options. Thanks so much to Pizza Express for inviting us to visit.